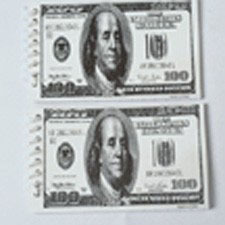 Take plenty of notes on your $100 bill notepad. The notepad is a fun item to add to your party favor bag. Size 3.75" x 2.25".